This post is for Angie. The finished extension. My new kitchen I am very spoilt. We had about 35 people here for lunch after the wedding it is lovely to be able to entertain so many people without it being a squash. I forgot I hadn't shown it in my blog. 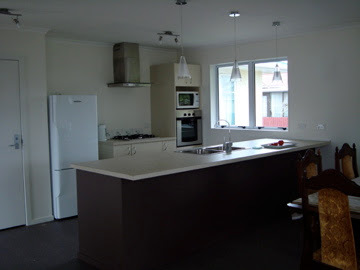 It is lovely and warm with all the batts & doubleglazing something that has just become compulsory in NZ. Winter has arrived here we had our first frost this morning. 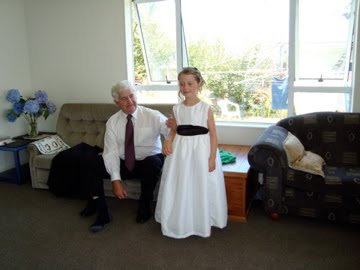 Above is DGD flowergirl looking beautiful with GD this is the lounge end of the extension. I would like to thank all for visiting. 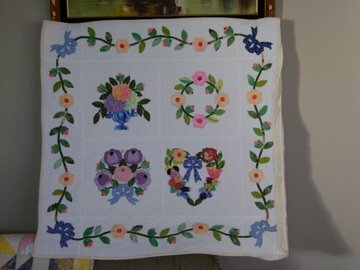 Hope you are having as much fun, as I am visiting the many blogs and gorgeous quilts. Big thank you to Amy for organising the Quilt Festival. My first time.